In honor of National Parkinson’s Disease Awareness Month in April, Hope is presenting a special movie premiere of “Capturing Grace” by filmmaker and director Dave Iverson on Tuesday, April 5 at 2 p.m. at Shell Point in the Woodlands Grand Cypress Room. Parkinson’s is personal for Iverson: he was the third member of his family to receive the diagnosis. While producing a film about Parkinson’s called “My Father, My Brother and Me” for the PBS Frontline series, Iverson learned about the Mark Morris Dance Group’s unique partnership with the Brooklyn Parkinson Group and the idea for “Capturing Grace” was formed. 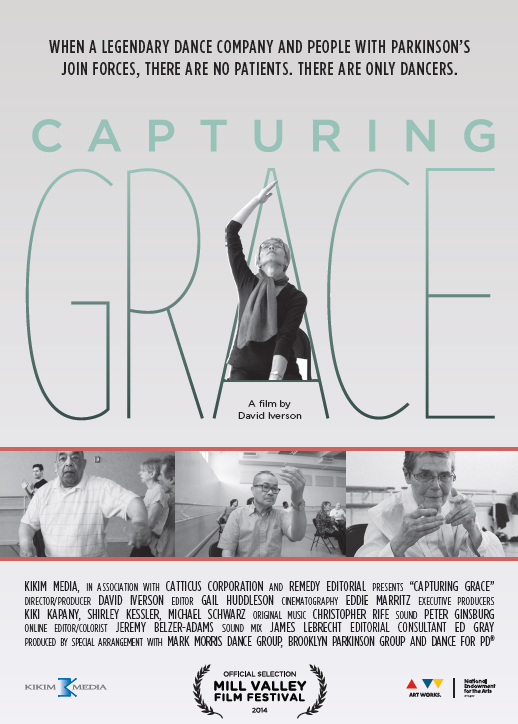 Iverson explains that “Capturing Grace” is a story about the intersection of two realms: One is occupied by some of the most acclaimed modern dancers in the world – the other is inhabited by a group of people with Parkinson’s disease. “This is a film about rediscovery, the rediscovery of a lighter step and the sweetness of motion. And it’s a story about a remarkable community of dancers – some professional, some not – but all coming together to move in space...and in doing so, rediscovering grace. And it is in that rediscovery that each becomes whole,” said Iverson. There is no cost to attend, but seating is limited. Please RSVP by Friday, April 1 to Michelle.Martin@HopeHCS.org or call 239-985-7727.